While I'm usually a pretty avid reader I have not been reading much at all lately! I decided it was time for a few new books especially as I am going on holiday this month and it's always nice to have a book to relax with. I usually read on my Kindle app but I've read almost all of the books of my 'to-read' list and the ones that are left just don't appeal to me enough. I've also been a bit disappointed with some of the books I've read recently, so much so that I haven't even written the reviews I planned to share with you yet! When I'm stuck in a reading rut I always find it's best to go back to my favourite authors and after a quick browse on Amazon I found three new paperbacks that I don't already own. Freya North has been a favourite of mine for awhile now. I first read her novel 'Pillow Talk' when I received a free copy with a magazine. I loved the book and soon became hooked picking up her old novels from boot sales and buying her new ones as soon as they came out. They usually follow a typical romance format, (think girl meets boy) but her characters are very relatable and endearing. 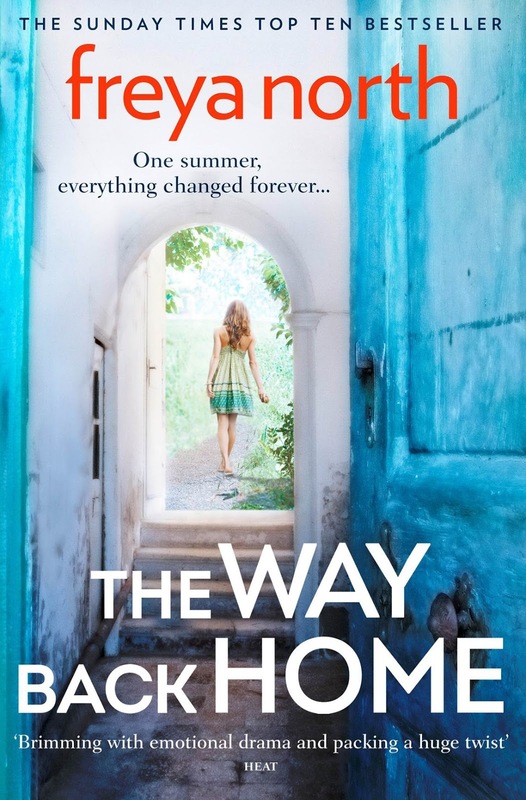 Her latest novel, however, suggests more drama, tension and emotion but we shall see! One summer, something happened that changed everything forever… Born and brought up in an artists’ commune in Derbyshire, Oriana Taylor had freedom at her fingertips in a home full of extraordinary people. The Bedwell brothers, Malachy and Jed, shared their childhood and adolescence with Oriana. In the rambling old house and tangled grounds, their dreams and desires could run free.But too much freedom comes at a price. Something happened the summer they were fifteen. And now, having been gone eighteen years, Oriana is back. This is their story. 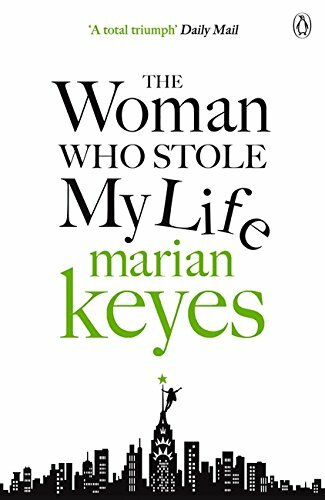 Marian Keyes has a very different style of writing. Although her characters are very similar to the types of women you'd usually find in chick-lit her themes can be much darker rather than focusing on romance. In the past I've read stories about a drug-addict in rehab and domestic violence but these twists often aren't apparent until you're already halfway through. I'm interested to see what happens in her latest edition! One day, sitting in traffic, married Dublin mum Stella Sweeney attempts a good deed. The resulting car crash changes her life.For she meets a man who wants her telephone number (for the insurance, it turns out). That's okay. She doesn't really like him much anyway (his Range Rover totally banjaxed her car).But in this meeting is born the seed of something which will take Stella thousands of miles from her old life, turning an ordinary woman into a superstar, and, along the way, wrenching her whole family apart.Is this all because of one ill-advised act of goodwill? Was meeting Mr Range Rover destiny or karma? Should she be grateful or hopping mad?For the first time real, honest-to-goodness happiness is just within her reach. But is Stella Sweeney, Dublin housewife, ready to grasp it? Jenny Colgan on the other hand is much more light-hearted and her books are very easy to read. I haven't actually read many of her books despite my best intentions to! The first book that I picked up was called Meet Me At The Cupcake Cafe and I've also read the follow up Christmas edition. Her books certainly seem to revolve around foody themes as as well as the cupcakes there's another about a chocolate shop, and a sweet shop! The latest rendition comes in the form of a bakery and you know I'm a big fan of baking myself so this seemed very apt for me! There's a Summer themed sequel too which has just been released so I'll probably pick that up too before the Summer is over. Polly Waterford is recovering from a toxic relationship. 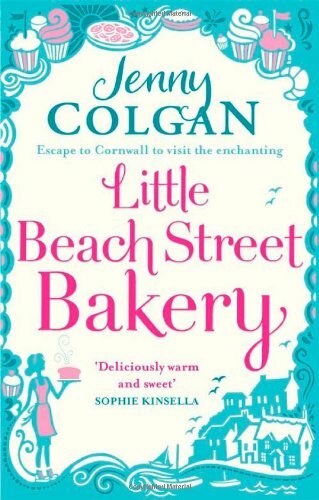 Unable to afford their flat, she has to move miles away from everyone, to a sleepy little seaside resort in Cornwall, where she lives alone above an abandoned shop.And so Polly takes out her frustrations on her favourite hobby: making bread. But what was previously a weekend diversion suddenly becomes far more important as she pours her emotions into kneading and pounding the dough, and each loaf becomes better and better. With nuts and seeds, olives and chorizo, with local honey (courtesy of local bee keeper, Huckle), and with reserves of determination and creativity Polly never knew she had, she bakes and bakes and bakes . . . And people start to hear about it. Sometimes, bread really is life . . . And Polly is about to reclaim hers. I really hope that these inspire me to get back into reading as I do love to read once I get started. If you have any recommendations please let me know! I will try and review these as I read them so I can share with you if I enjoyed them or not, but fingers-crossed that I will love them.